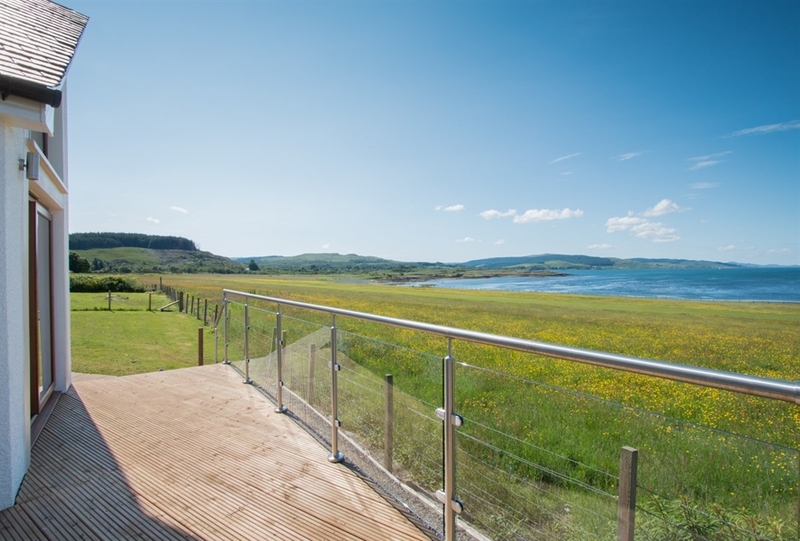 Eala Bhan is a luxury holiday house located overlooking the sea at Glen Forsa. 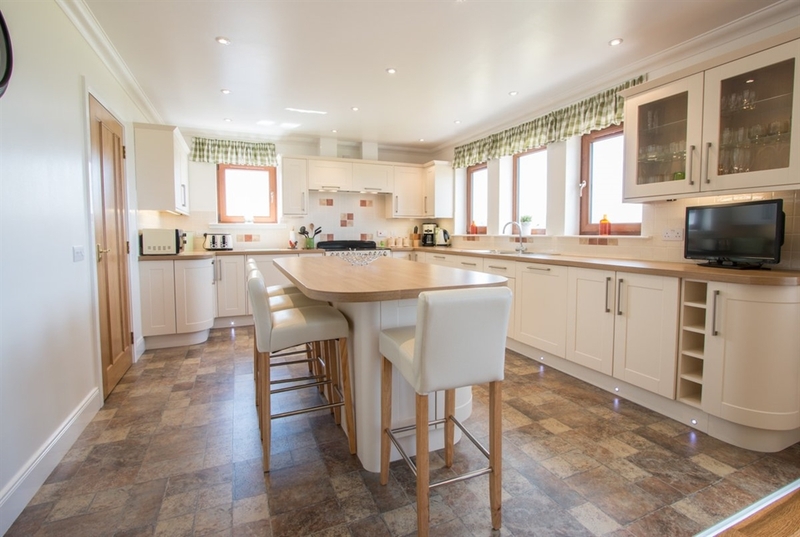 This is a superb property offering high quality accommodation which sleeps six people. 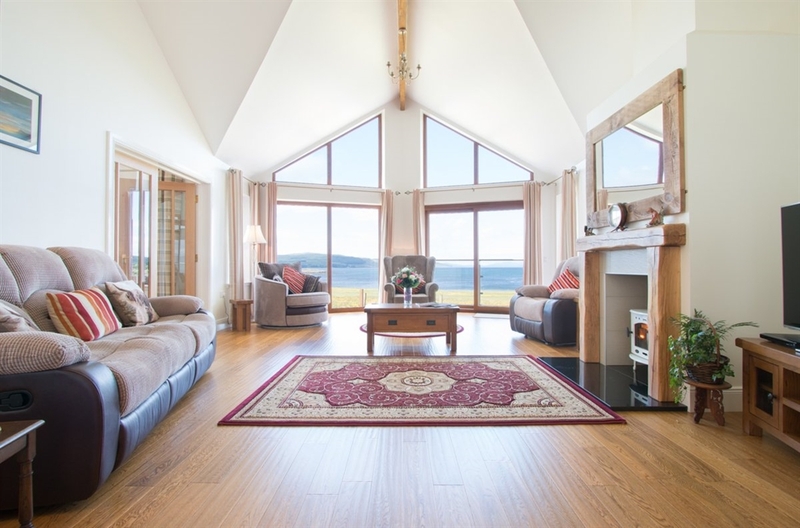 The house is very spacious with huge windows overlooking the sound of Mull, comfortable furnishings and original artwork compliment the interior. The bathrooms are very well appointed and finished. There are great walks along the coast and the bay is a mix of sand and pebbles. 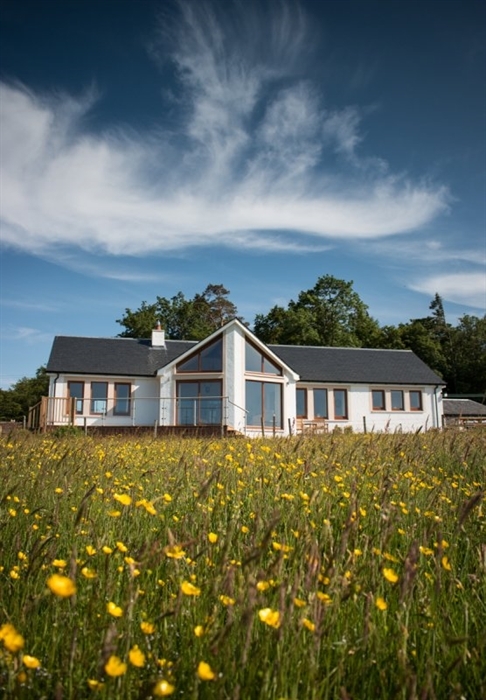 The track up Glen forsa offers excellent walking including the mountain peak of Beinn Tallaidh.